Load Balancing and Automatic Health ChecksKeep You Open for Business. 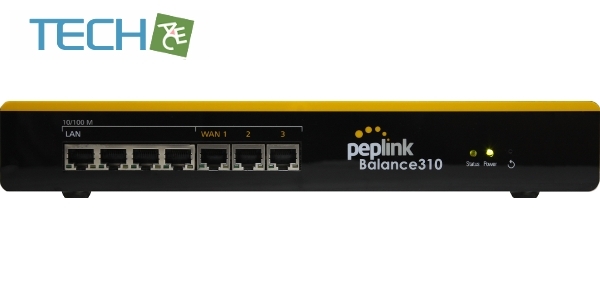 Get the most out of your Internet connectivity investment and keep network traffic moving smoothly at all times with Peplink Internet link load balancing. Peplink’s seven intelligent load-balancing algorithms automatically analyze network activity and efficiently distribute traffic, preventing slowdowns and productivity losses. Our Automatic Failover and Health Check technology continually monitors DNS, ping, and HTTP response on all connected links, rerouting traffic around dead links to ensure seamless connectivity. SpeedFusion Shifts VPN Traffic into High Gear. Get all your branch offices working together seamlessly with Peplink site-to-site VPNs, powered by SpeedFusion technology. Just install a Balance at each end of your VPN and connect up to 13 high-speed links. SpeedFusion gets your data where it's going quickly and reliably with automatic link bonding, application traffic and video prioritization, military-grade encryption, and traffic QoS. Peplink's patent-pending Video Optimization technology is an exclusive innovation that accelerates and optimizes video broadcasting, conferencing, surveillance, and more. VideoFlow, part of every Balance, takes advantage of all connected links, including cable, DSL, and 3G/4G/LTE, to deliver reliable and consistently high quality video that improves productivity and collaboration across the enterprise. IPsec, PPTP Support Plays Nice with Existing Systems. The Balance supports IPsec VPNs, easing your migration to SpeedFusion site-to-site VPN technology. Deploy SpeedFusion and other network upgrades on your own schedule while using PPTP VPNs to provide continued remote access, link bonding, and load balancing to branch offices and other locations that are still using legacy gear. A Built-In PPTP VPN Server Means High Security on the Open Road. With the Balance's built-in PPTP VPN server, remote users get convenient access to internal LAN resources without needing an additional VPN appliance or server. The Balance supports RADIUS authentication using existing corporate credentials, providing a secure connection for remote, work-at-home, and on-the-go access with iOS, Android*, and other mobile devices.